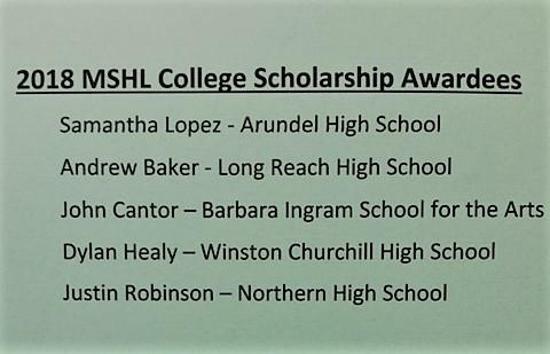 The Maryland Student Hockey League is pleased to announce it's 2017 - 18 All MSHL Selections. 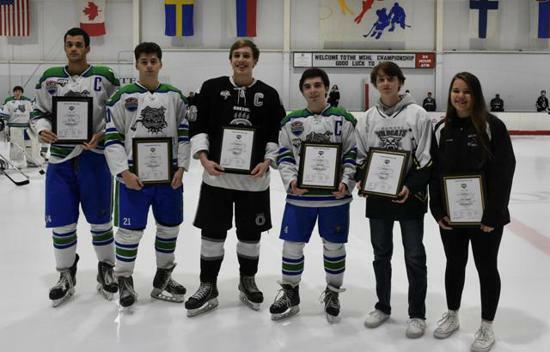 First and Second Team Members will be honored before the 2018 MSHL Championship game on February 26, 2018. The Honorable Mention list will be published this weekend. The South claimed victory in the 2018-2019 All-Star Game, although both teams displayed phenomenal play. The North Division and South Division All-Star teams are stacked with talent. Jack Stanley and Charlie Wojcik, respectively, are anticipated to shock the pace of the game Monday, January 28. T.C. #6, Lake Braddock #10 in Final Wash Post Rankings! The CSHL Game of the Week features a pivotal matchup in the South Division! Trevor Younkins makes Team DC as an alternate!! Is the top scoring offense in the CSHL vs the top defense when Washington-Lee hosts undefeated West Potomac!